It was also Chelsea’s earliest major trophy. The first five decades had seen the club develop into an integral part of sporting life in England’s capital city with famous players and a large, often full stadium. Mears had spotted the potential for a football club to play at an old athletics ground at Stamford Vridge, an open piece of land in west London. It was a ground he planned to massively redevelop. As the two walked on, without warning Mears’ dog bit Parker, drawing blood and causing great pain, but only an amused reaction from Parker. “You took that bite damn well,” Mears announced before telling his accomplice he would now trust his judgement over others. “Meet me here at nine tomorrow and we’ll get busy,” he said. Stamford Bridge was alive once more. On March 10th 1905, a meeting convened opposite the stadium in a pub now called The Butcher’s Hook. One item on the agenda was a name for the new club. 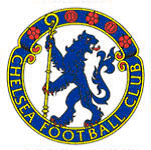 Stamford Bridge FC, Kensington FC and intriguingly, London FC were all rejected. Chelsea FC was what it was to be – and the story had begun.